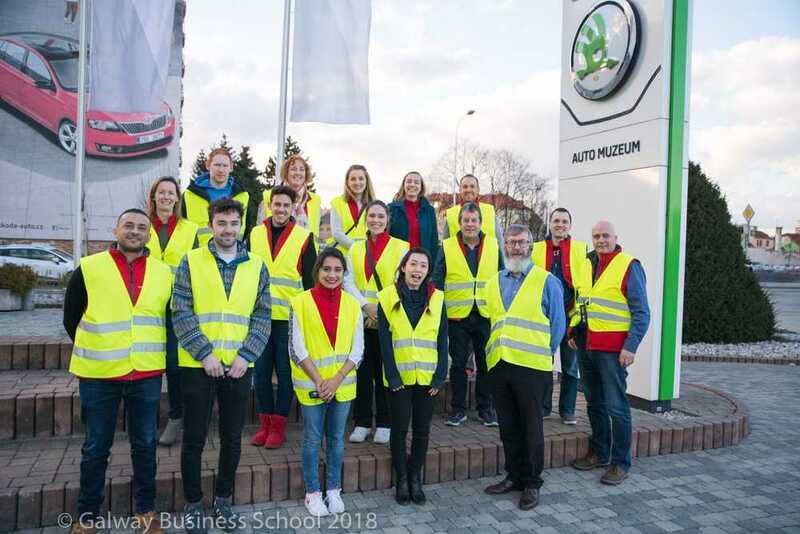 Galway Business School offers a Bachelor of Business (Honours) with International Business course in the city of Galway, situated on the west coast of Ireland. The Bachelor of Business degree programme allows you to enhance your qualifications by topping up to a level 8 degree. This degree focuses on how organisations operate, what they perform, their styles of management and their business strategies. What sets us apart from other colleges are our small, interactive classes. This, coupled with our excellent links with local businesses, will provide you with an education rich on every front. "The course enables each student the potential to develop their personal skills, including, teamwork, leadership, and communication skills, which are pillars to a successful professional career"
The Bachelor of Business (Honours) with International Business require you to have already completed an ordinary or pass degree, at level 7 of the National Framework of Qualifications. It you do not hold a level 7 degree you cannot gain entry on to the Bachelor of Business with International Business. In order to be accepted on to the honours degree programme it is required for non-native speakers to posses English at a level of 6.5 IELTS + or its equivalent. You may also apply as a Mature Student (23+), where your work experience, previous courses and qualifications will be taken into consideration during the application process. Mature applicants must have qualifications and experience deemed equivalent by the QQI approved Recognition of Other Learning (ROL) and Recognition of Prior Experiential Learning (RPEL) policies of the college. Throughout the Bachelor of Business (Honours) degree programme we aim to assess students through a number of different mediums. This allows students to utilise their academic skills and capabilities to the maximum. It also supports the different learning styles of learners. You will be assessed through a combination of continuous assessment and examinations throughout the programme. These can take the form of written examinations, individual and group projects, mock interviews and presentations. Student who complete the Bachelor of Business degree in Ireland find a number of new options open to them. On completion of this course you will be more employable in international business organisations. The aim of this programme is to prepare you for work around the world or continue your academic career in international business and management. You will feel confident and ready to work in a number of sectors such as; Management, Human Resources, Marketing and Finance. As a graduate, you will be sought after by a wide range of employers, from multinational companies to small and medium sized enterprises. Students who complete and Bachelor of Business (Honours) with International Business can expect to enter in to roles with high salary rates. On completion of the Bachelor of Business honours degree you may decide to further your academic career. Successful graduates of the Bachelor of Business in Ireland may choose from a range of postgraduate options including a Postgraduate Diploma in Management at GBS as well as entry to a range of MSc, MA and MBA programmes in other higher education institutions.